I refuse to admit that summer is nearly over. It's not, okay? 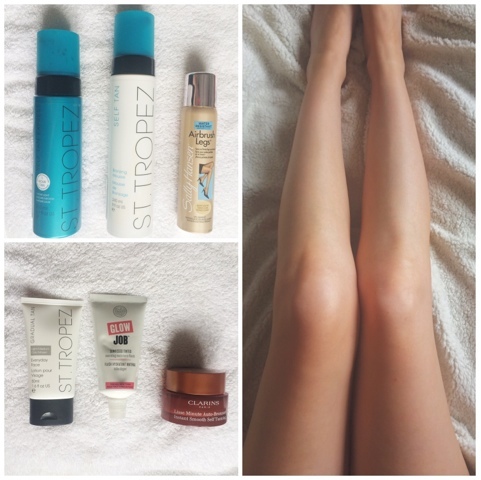 Okay so before I cave in and admit that autumn is nearly here, I thought I would get up a post on my introduction to self tanning. May seem like an odd time but I've been trying these all out for a while and I've had other posts I wanted to go up first, but it's here now. Sunless tanner isn't something I have tried properly before this summer, but I must say, I am a fan, of the tan. I have been trying out a few different self tanners for face and body, so I wanted to round up my thoughts and share them with you. Today's is focusing on self tanners for your body and then on Monday we will be all about face self tanning. One of the main reasons I haven't used self tanner before is because I am so pasty white that using self tanner makes me look like I've been tango'd and no one wants that, especially not on the day you're going to be a bridesmaid for your cousins wedding and even lemon juice and exfoliating gloves doesn't budge the Garnier Spray Tan that you thought would be a good idea to try out the night before. Not that I would know about that? But anyway... 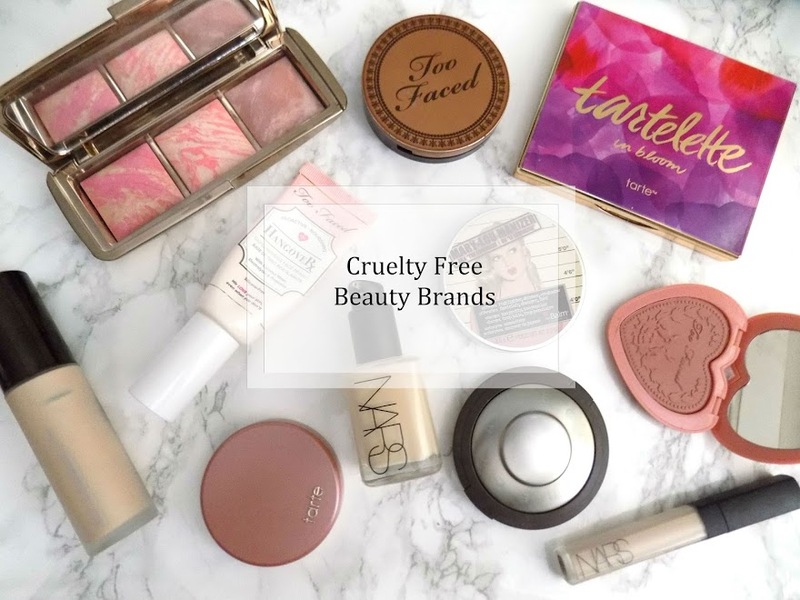 I wanted to get some different options, both from the drugstore and more higher end products to see which I like best and if the more expensive ones are worth the money or not. Before you start doing any kind of self tanning, you must always make sure your skin is smooth and soft,. This means exfoliating your body, shaving your legs, just make sure everything is nice and smooth ready for tanning. Once you have done that, make sure to apply moisturiser. 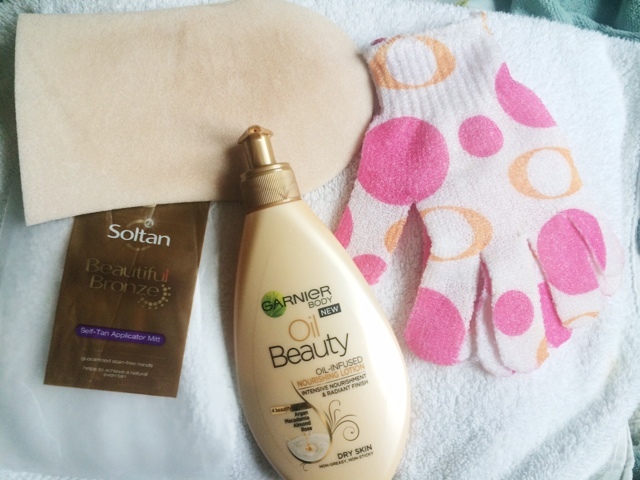 I like the Garnier Oil Beauty Lotion which gives enough nourishment to my skin without being too thick and heavy. Always pay special attention to any dry areas you have like knees, elbows, ankles, even backs of hands and feet, as these are all the areas where self tanner will cling to, and trust me, it doesn't look nice. Starting off with the St Tropez Gradual Self Tanning Mousse £33.00, this is a product that only came out this year I believe and it has had a lot of really good reviews about it. For good reason. This is a mousse, which many people say is easier to work with. You don't have to leave on for hours on end. Just apply using a mitt, wait one, two or three hours, depending on how dark you want your tan to be - What's even better is those hours aren't spent feeling uncomfortable and sticky. Just chill out for a bit, then simply wash it off, and over the next 8 hours it will continue to develop, so you can then bask in the wonderful-ness that is being tanned. This leaves a beautiful, natural tan with no streaks or blotchy-ness and as long as you have moisturised well before hand, elbows, knees etc aren't all blotchy or orange. It's just flawless. It wears off nice and naturally too which can be an issue with other self tanners. The other option I have from St Tropez is their original Self Tan Bronzing Mousse. This is one that you leave on for up to 8 hours to develop and once washed off, you get a beautiful and natural tan. It's also infused with Vitamin E so it nourishes the skin whilst tanning. It's not as quick as the express version but it's still super easy to use, and you can still control how dark your tan is by how long you leave it on before washing it off. This is slightly cheaper than the express at £30.50. I wanted to include this next product because it is a self tanner but you use it in a different way to the others I've mentioned. So the Sally Hansen Airbrush Legs in Light Glow, comes in a spray and a squeeze tube. I like to use this when I have my legs (or arms) out and they need a bit of an extra omfph to look sunkissed and glowy. There's nothing like stark white legs with an outfit that would look tonnes better with a pair of beautiful, tanned and glowy JLo legs. It's body makeup, so in the same way you would prepare your face for makeup, you should prep your legs. Once this is on, it's on, it's water resistant so you have to physically wash this off thoroughly. Although it doesn't transfer a lot on bed sheets, you should always wash it off. This can be used to top up your tan that you've had a few days, or for a special event. The way it makes your legs look, you'll want them out all year round. Plus, it's drugstore prices so it's super affordable, coming in at just under a tenner. After self tanning, be careful once you've washed it off. Press your skin with a towel, don't rub, as this can effect the evenness of your tan, so be super careful. Apply moisturiser again. Some self tanner can dry out your skin so it's always best to keep your skin moisturised. It also helps with the further development of your tan. To maintain your tan, moisturise daily and you can re-apply your sunless tanner every few days to keep it topped up. When you need to remove your tan, exfoliate - I like to use exfoliating gloves - but be gentle and pat your skin dry. Moisturise as always and you're ready for your next tan. Come back on Monday to see some self tanners for the face. What's your favourite sunless tanner?